Don’t stress over a broken MacBook. Gophermods offers worry-free repair services for all of your favorite Apple devices. No matter what the issue is, you can rest assured knowing our skilled technicians have the necessary tools and parts on-site to restore your MacBook. We fix the issue fast to get your mobile life back on track. How can I get my MacBook Repaired? 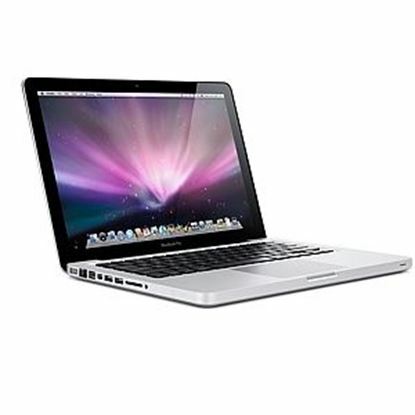 One year warranties standard on all major MacBook repairs. All of our technicians have years of experience and go thorough ten week training process, ensuring your MacBook is in capable hands. Whew the hard part was done, you found Gophermods online! Six Minnesota locations, chances are there is a Gophermods repair shop within a few minutes of you. Most MacBook repairs only take about an hour once parts are available. Six locations, chances are there is a Gophermods repair shop within a few minutes of you. Who is repairing my MacBook? 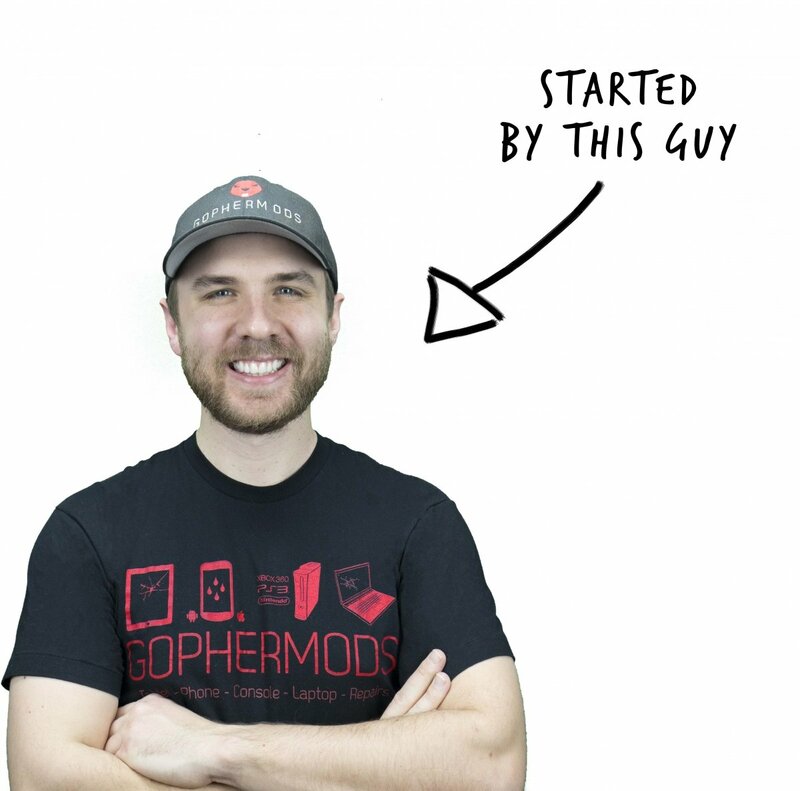 Gophermods started in Casey’s dorm room at the U of M Pioneer Hall in 2009. We started off as a custom video game accessory supplier, and we slowly turned into a repair company as we had more requests for repairs than accessories. Six months later after outgrowing the basement bedroom in the Como neighborhood, Gophermods opened up a commercial shop in the University Tech Center in Dinkytown. We hired our first employees whom were all U of M students and we all ran back and forth from Dinkytown to class, and kept that up until graduating in 2011. We are a Minnesota company with a passion for technology. We enjoy learning and being re-inventors in our field. We were your friends in science class and the person next to you in line to get the latest gadget. Our service is “reasonable”, “fast”, and “friendly”. …That’s Minnesota Nice for saying, we’re pretty good. We’re ready for your questions. Are you sure you can fix it? Yes. We’ve had tens of thousands of broken iPhones, iPads, iPods and computers brought into Gophermods since 2009. I would guess, 98% of the devices brought into our stores are repaired. How fast can you repair it? On average, most copmuters repairs are finished within one to two hours of drop-off at any one of our stores. Many computers parts are not in-stock and are special order. Pretty simple, we break it we bought it. If our parts fail within one year, bring it back, and we’ll fix it again under warranty. We’ve been doing this almost ten years, and have hundreds of positive feedback and reviews. You’d think if we sucked, someone would have had said something by now right? What if you can't fix it? In the rare event we cannot fix your device, there may be a $19 to $29 diagnostic fee. We've slashed our price on our iPhone X Screen Repair. Our new price includes all parts, labor and a one-year warranty on parts. Stop by any six Gophermods Minneapolis locations to have your iPhone X repaired today in as little as one hour. You lost your phone 📱, how can you find it 🕵️‍♀️? 🔍Find My iPhone. This feature is available on Apple devices or accessible through the iCloud website. If you have multiple devices synced through iCloud, it’s relatively simple to track a missing phone. Find My iPhone displays your device’s last known location in a map view, giving you the chance to track it down even if the phone has run out of battery or lost signal. For finding the phones of loved ones, there is a “Find My Friends” application available for iPhone users who have enabled location sharing. 🔍Android Device Manager. If your Android device is hooked up with a Google account, then you’ll be able to track its location using the Android Device Manager from a web browser on any computer. Google Maps has recently released a location sharing service as well, which allows your friends and family members to see your location for up to 72 hours even if they don’t have a Google account.